Sporting Poise and luxurious comfort in perfect harmony. New to the cockpit are the multifunctional instrument display allowing the driver to select a variety of information and the central Control Display with 3D graphics. New Rear Seat Entertainment package. New and upgraded engine variants raise the bar in terms of output and efficiency. Eight-speed automatic transmission is fitted as standard. Fuel savings of up to 25 per cent are possible. 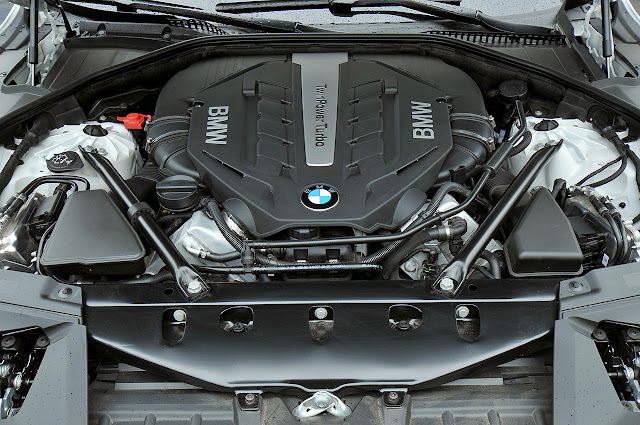 Engine line-up ranges from a BMW TwinPower Turbo diesel unit that holds the title of the world’s most powerful straight-six diesel engine to the second-generation BMW ActiveHybrid 7. Advanced features such as proactive hybrid technology and the Driving Experience Control switch with ECO PRO mode enhance both driving comfort and efficiency. Optimised chassis – with self-levelling air suspension at the rear axle – gives ride comfort a noticeable boost. New Connected Drive highlights: latest-generation Professional navigation system, BMW Night Vision with Dynamic Light Spot, anti-dazzle High-Beam Assistant, BMW Parking Assistant, Driver Assistant Plus, Active Protection. 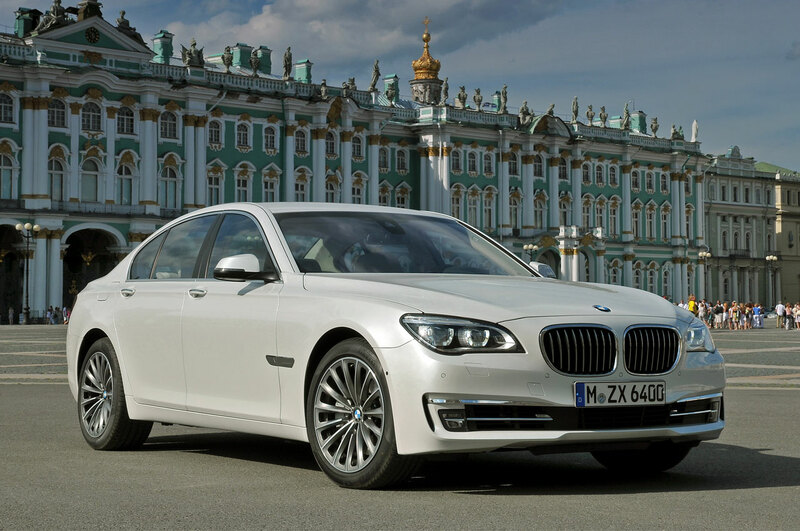 The new BMW 7 Series is set to reinforce its position as the most innovative sedan in the luxury segment. The flagship model series of the BMW fleet embodies sporting elegance, refined powertrain technology and luxurious comfort in equal measure. And now, by making a clear step up in terms of product substance, the Sedan is set to underline its leadership. New LED headlights, an upgraded interior with optimised soundproofing, markedly improved ride comfort, a comprehensive selection of optional equipment and state-of-the-art safety technology combine to create an in-car experience from the top drawer. A line-up of either new or optimised drive systems, including the world’s most powerful six-cylinder in-line diesel engine and the second-generation BMW ActiveHybrid 7, set new performance and efficiency benchmarks. new LED headlights and subtle new design features. Dynamic lines and perfectly balanced proportions continue to lie at the heart of the BMW 7 Series Sedan’s sporty and elegant presence. The most eye-catching feature of the new BMW 7 Series are the new LED headlights with hallmark BMW corona rings and a smart accent strip, which now ensure the new BMW 7 Series projects a distinctive appearance at night as well. The modified BMW kidney grille with nine slats – instead of the previous 12 – and revised front apron set the new model apart from its predecessor. Elsewhere, indicators integrated into the lower section of the exterior mirrors are among the new features visible from the side. And last but not least, the powerfully chiselled rear benefits from a thin chrome strip connecting the two slim reflectors in the rear apron. 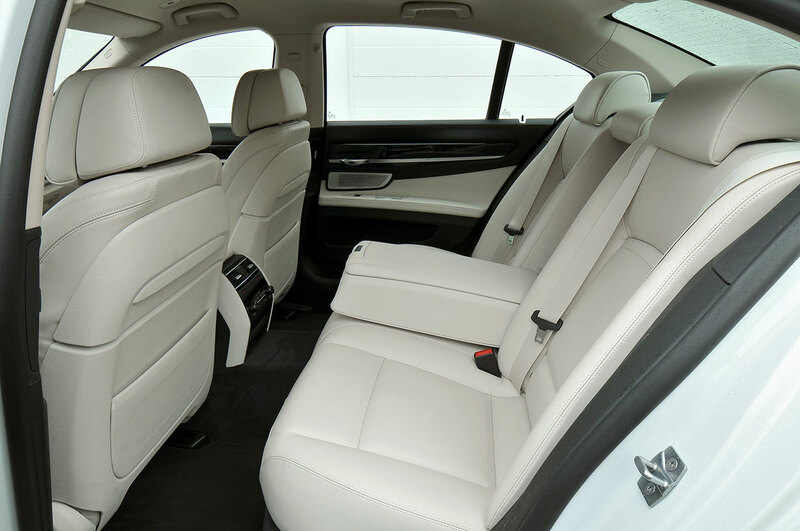 Interior: new leather seats, optimised noise levels, Rear Seat Entertainment package and sound system with extending centre speaker. 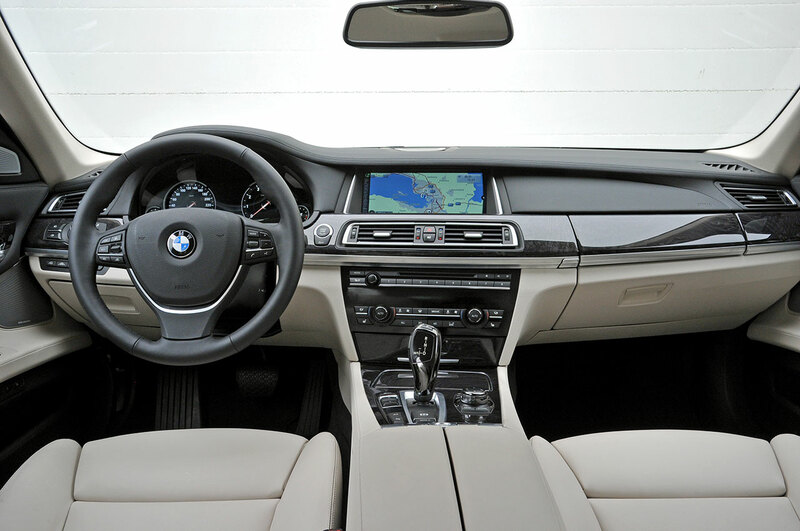 Flawlessly executed design, top-class materials, quality workmanship and outstanding practicality define the interior of the BMW 7 Series Sedan. 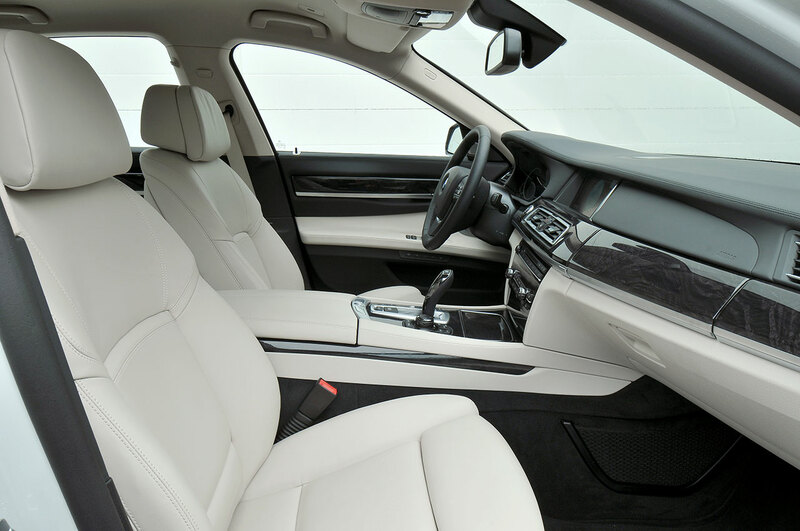 The driver and front passenger can relax into newly designed leather seats offering optimum lateral support and unbeatable long-distance comfort. The rear passengers, too, travel in luxury and are largely cocooned from outside noise. Individual seats are also available as an option for the rear and can be adapted to passengers’ needs. And the optional Rear Seat Entertainment package with a new 9.2-inch flatscreen monitor ensures a refreshing diversion is always at hand over extended journeys. The new 1,200-watt Bang & Olufsen High End Surround Sound System delivers unimpeachable sound quality. Its 16 speakers include an illuminated centre speaker which retracts almost fully into the instrument panel. Cockpit: selectable displays in black-panel technology and central Control Display with 3D graphics. The Control Display in the centre of the instrument panel has also benefited from visual and technical improvements and now uses high-resolution 3D graphics. Powertrain and chassis: refined power, improved efficiency and enhanced ride comfort. 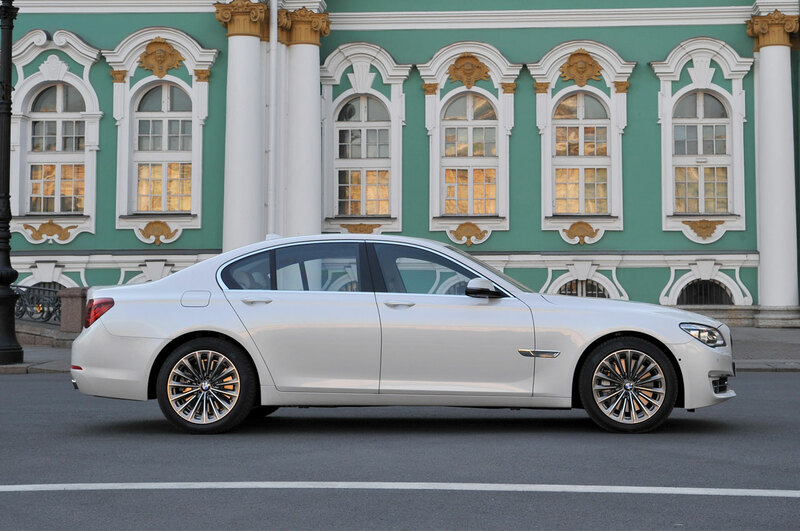 The new BMW 7 Series Sedan will hit the ground running in 2012 armed with new and comprehensively revised engines which are extremely economical and low on emissions and channel their power to the driven wheels through an intelligent eight-speed automatic transmission. Technology such as the Auto Start-Stop function, Brake Energy Regeneration, the Driving Experience Control switch with ECO PRO mode with extended functions and coasting mode pave the way for additional fuel saving. Alongside the flagship BMW 760i with its 12-cylinder powerplant, there is a choice of the BMW 740i with a new BMW TwinPower Turbo six-cylinder in-line engine or the BMW 750i with a revised V8 petrol engine. 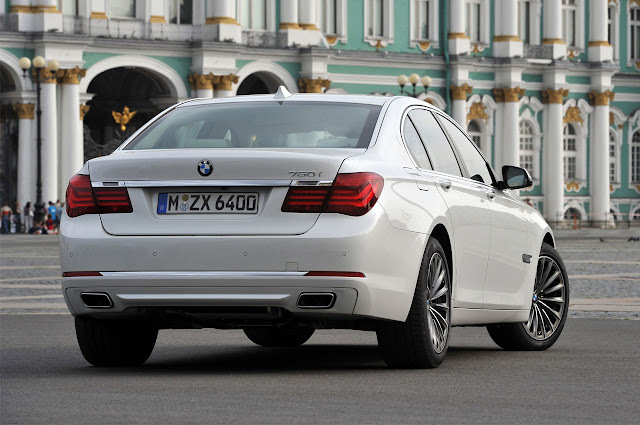 The six-cylinder diesel engines in the BMW 730d and BMW 740d likewise offer drivers the combination of increased output and lower fuel consumption. Making its debut, meanwhile, is the new BMW 750d xDrive. Under its bonnet lies the new M Performance TwinPower Turbo six-in-line diesel engine – the world’s most powerful diesel engine of its kind. Rounding off the range is the second-generation BMW ActiveHybrid 7 combining a new TwinPower Turbo six-cylinder in-line petrol engine with a 40 kW/55 hp electric motor for significantly reduced emissions. An impressive spread of chassis wizardry helps give the ride comfort of the BMW 7 Series Sedan a noticeable boost. Complementing the optimised chassis set-up – with modified rubber bearings and new dampers – and the self-levelling air suspension for the rear axle is the standard-fitted Electric Power Steering. State-of-the-art electronic control systems with likewise retuned software help to enhance the long-distance attributes of the BMW 7 Series Sedan and ensure that the new edition of the car makes travelling on board even more pleasurable – in terms of both dynamics and comfort. BMW ConnectedDrive: intelligent integration is the key to comfort and assurance at the wheel along with unbeatable safety. A unique combination of driver assistance systems and mobility services allows the BMW 7 Series to once again demonstrate its innovative edge and technical eminence over its rivals. To this end, the BMW ConnectedDrive portfolio includes impressive new features that enable the Sedan to maintain its leading position in the luxury segment. Stop & Go function, Active Protection with automatic fatigue recognition and Speed Limit Info including the No Passing Info display using road sign symbols. A more powerful operating system governing the central Control Display ensures the entertainment programs are simpler to operate, optimises office and online services, and makes using the telephone that much easier. The Professional navigation system, meanwhile, is now more powerful and features new and ultra-sharp map graphics and 3D city mode. An innovative feature allowing convenient hands-free opening of the boot lid rounds off the function-focused highlights of the BMW 7 Series.